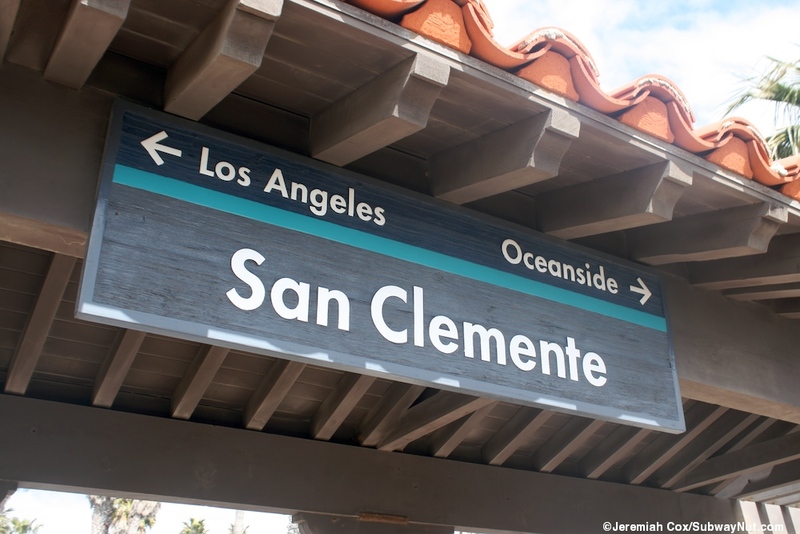 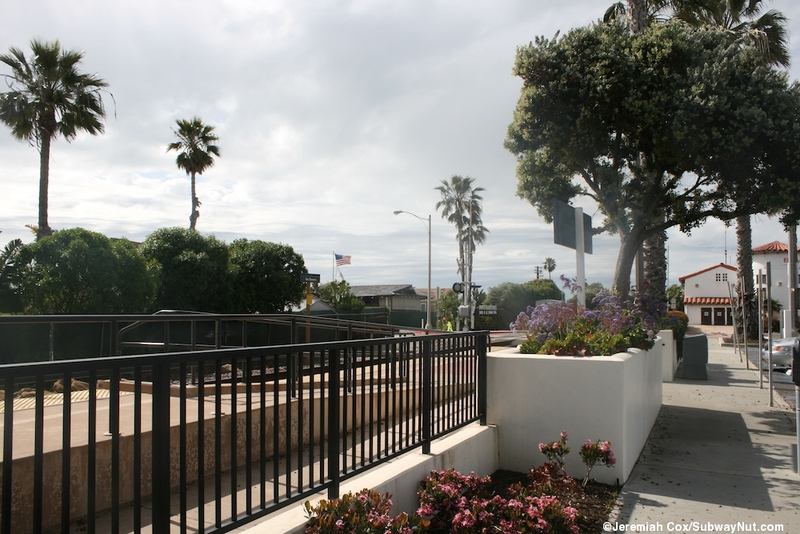 San Clemente (North Beach) was built by and opened for Metrolink on March 6, 1995 ('San Clemente Metrolink Station's Debut a Success,' Long Beach Press-Telegram, March 7, 1995 Link). 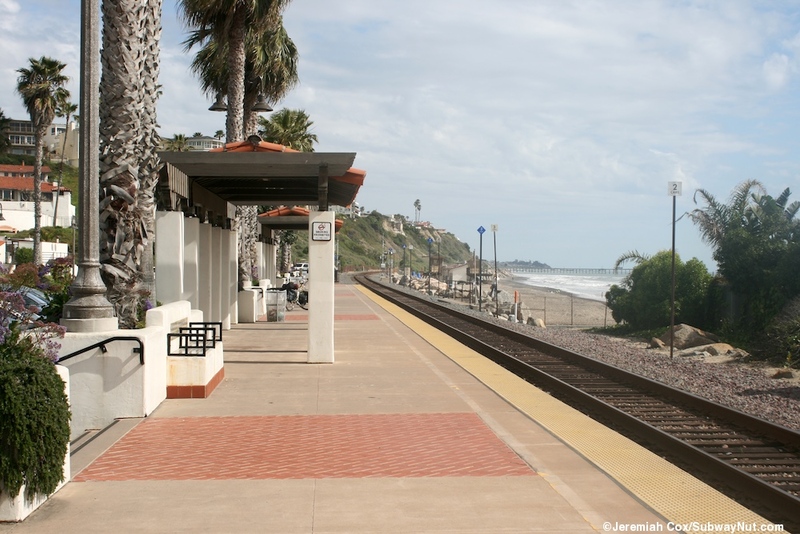 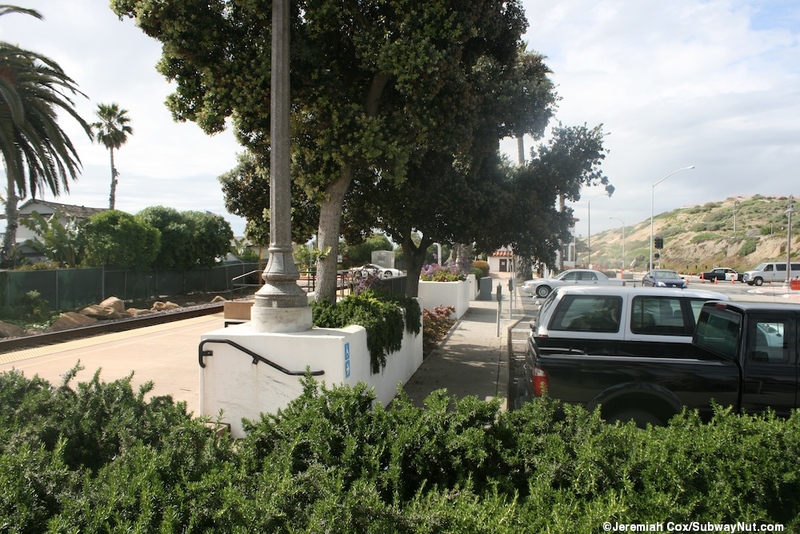 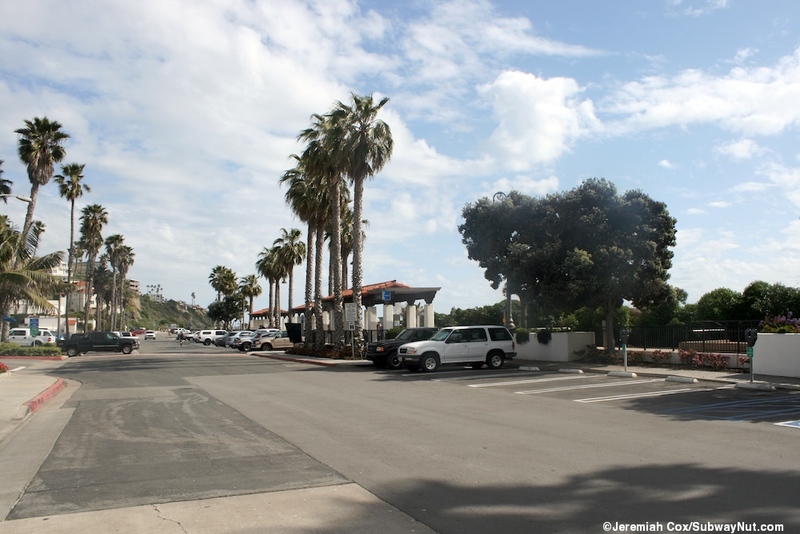 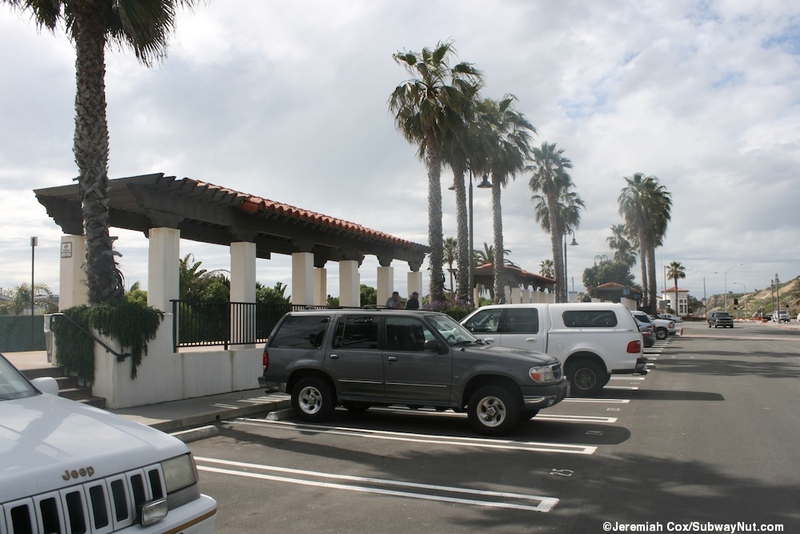 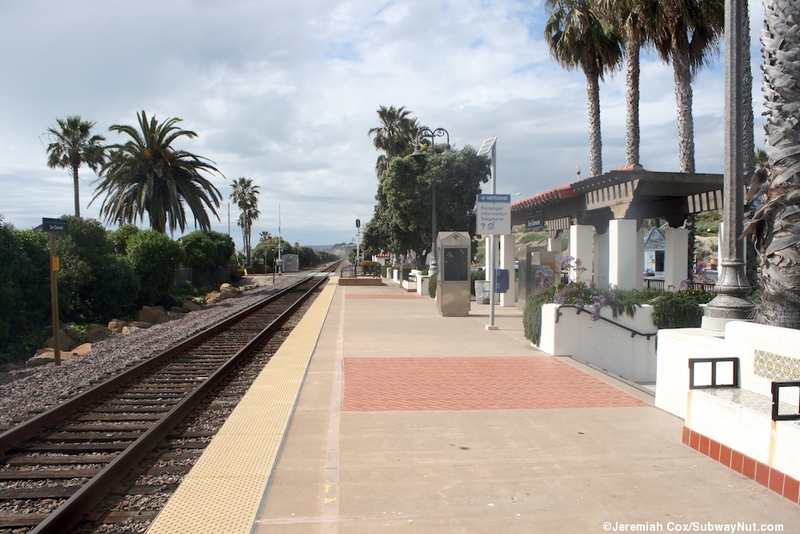 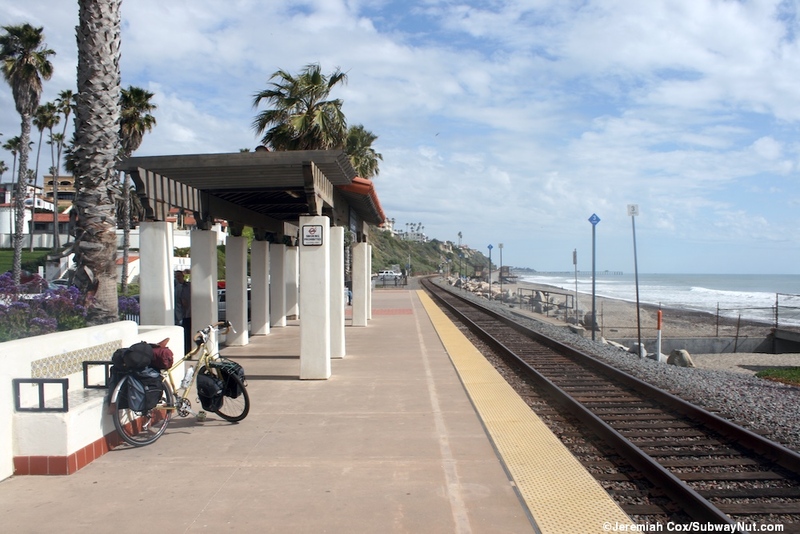 It is located a mile north of the San Clemente Pier Station used by Amtrak to serve beach goers (The 1 Weekend Inland Empire/Orange County Line round-trip also stops at San Clemente Pier). 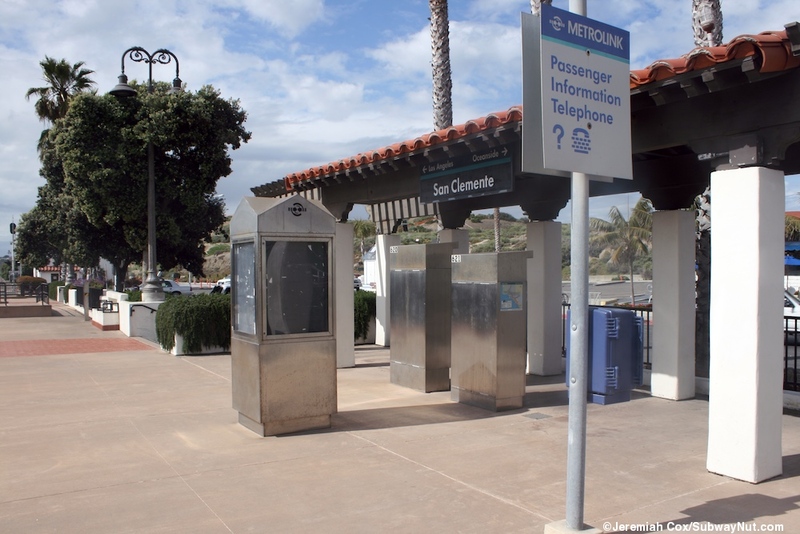 Amtrak served this station from 1996 to 2000 with one daily round-trip instead of stopping at the San Climente Pier Station 1 mile south (which received no Amtrak Service). 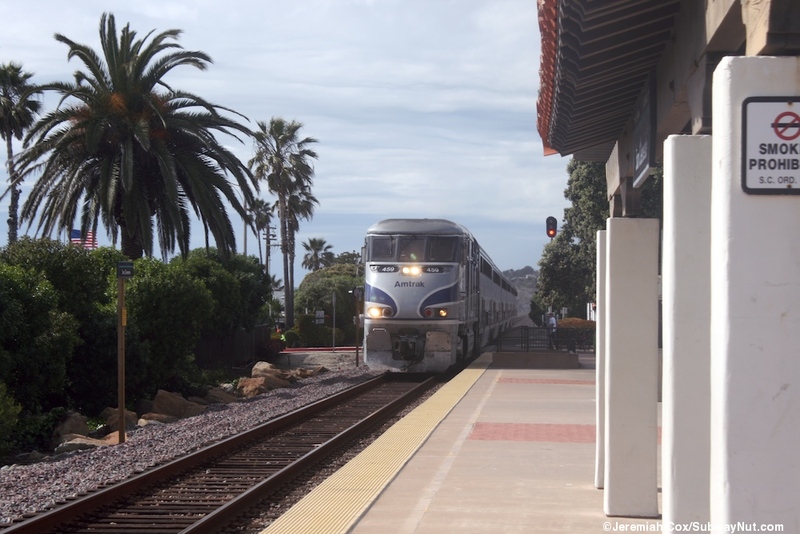 Today there are five weekday round-trips to Union Station on the Orange County Line plus one afternoon-evening OCTA sponsored round-trip to Fullerton. 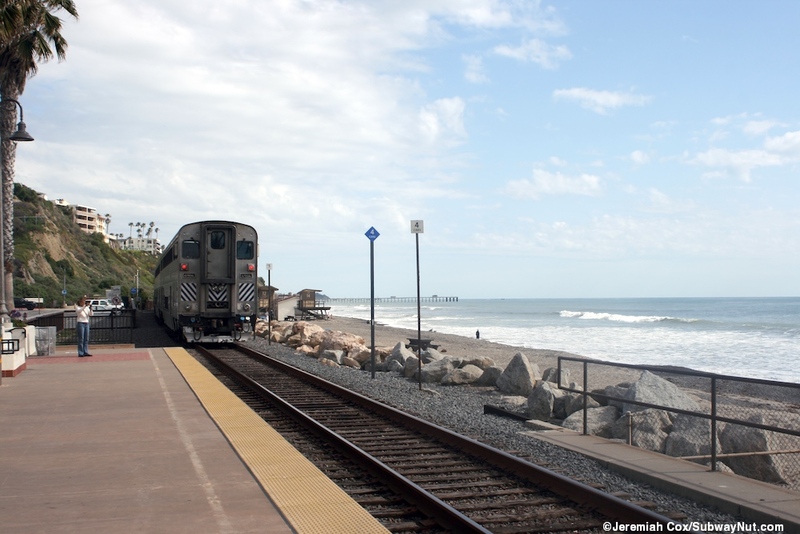 The Inland Empire/Orange County Line has two weekday round-trips, all 8 originate/terminate in Oceanside. 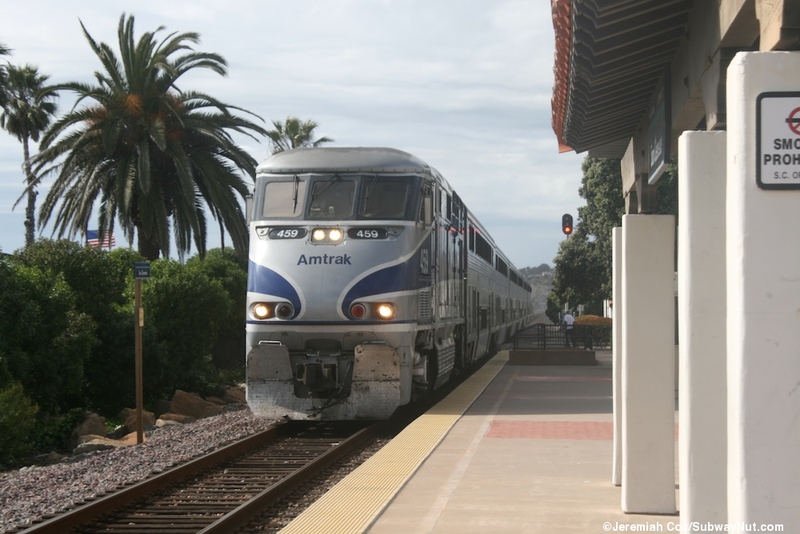 There is also a single weekend round-trip on each line. 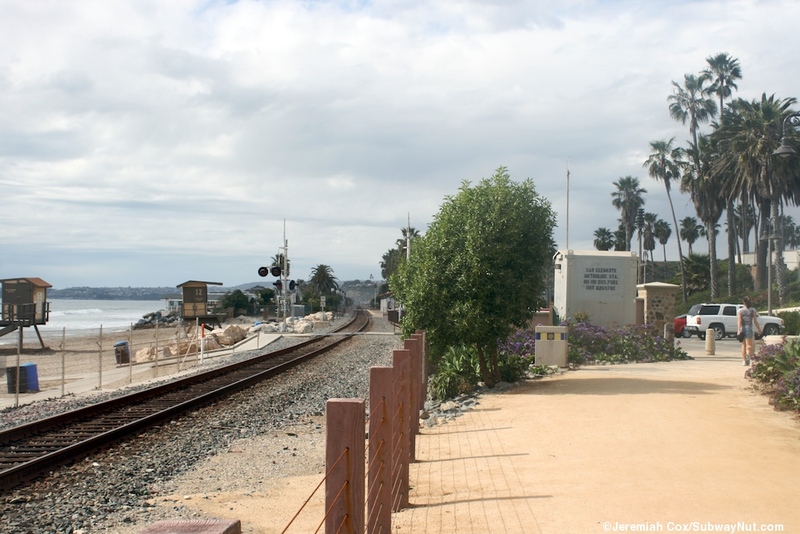 The station is located across from the northern end of the beach with a nice view of the water, with a single platform on a single track. 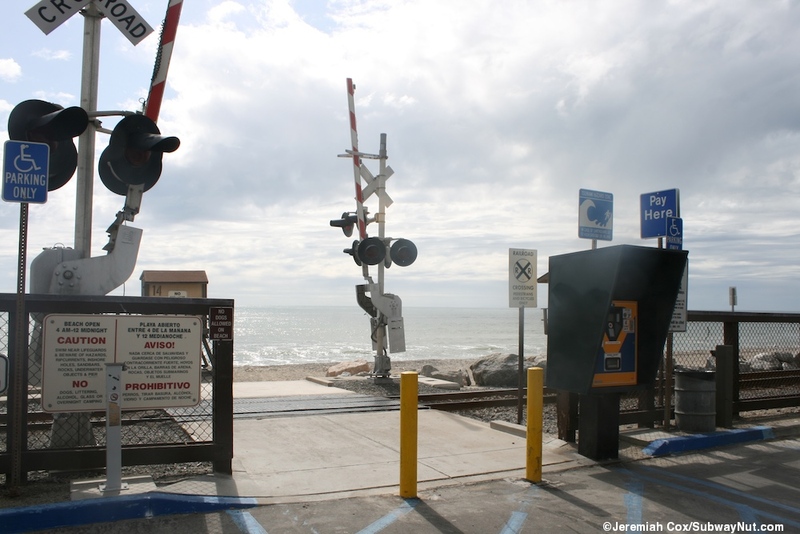 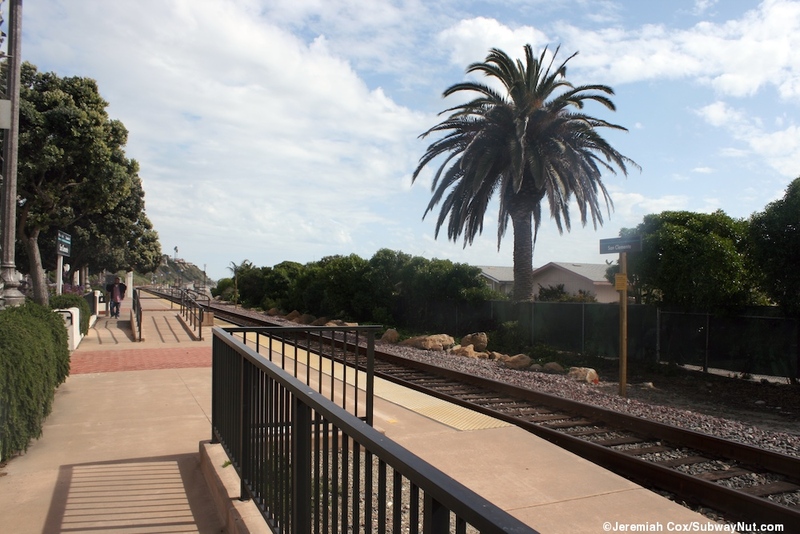 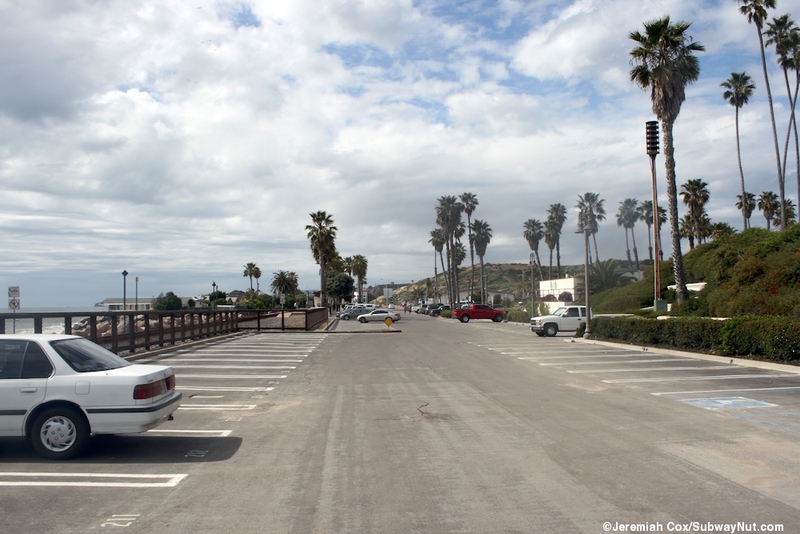 The northern end of the platform is located at a grade crossing that leads to a dead end street to provide access to a stretch of oceanfront homes that block the view for about two-thirds of the platform. 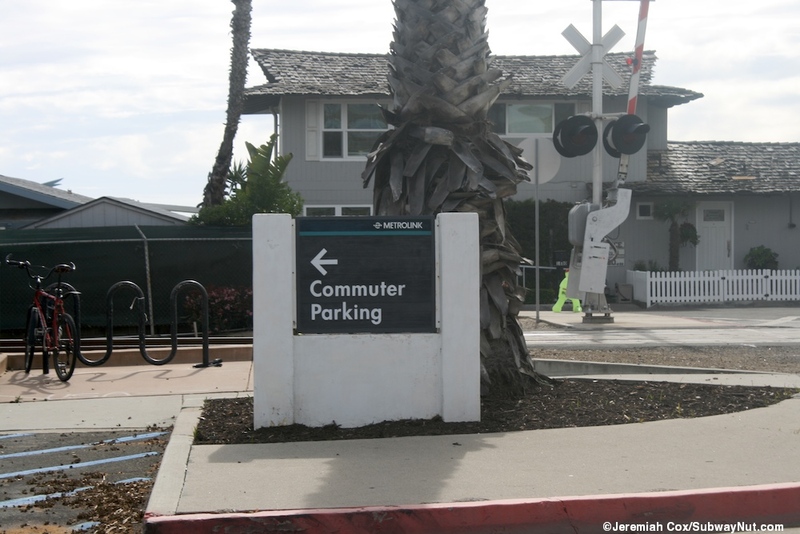 The station is alongside a decent sized parking lot that is shared between Metrolink Commuters and Beach goes with a $1 special Metrolink daily fee and cheep annual passes. 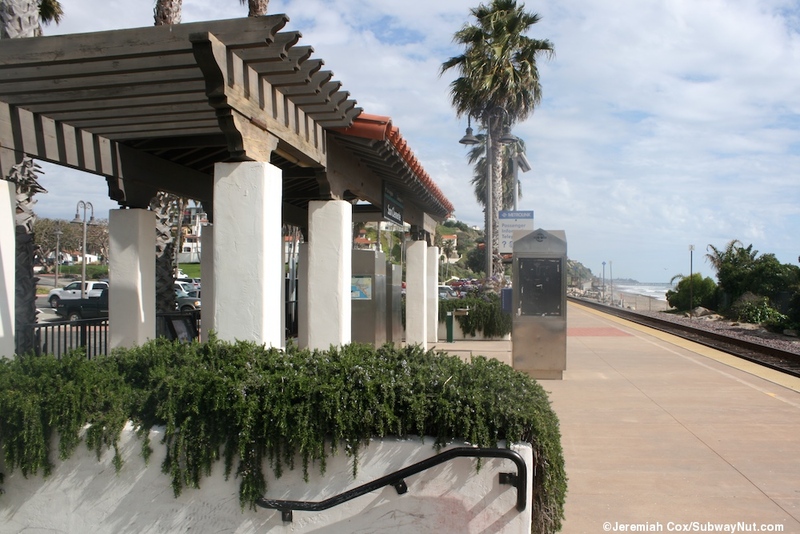 The side of the platform itself has a white mission-style low wall instead of a fence and there are a few benches built into it with historical tiling designs embedded in them. 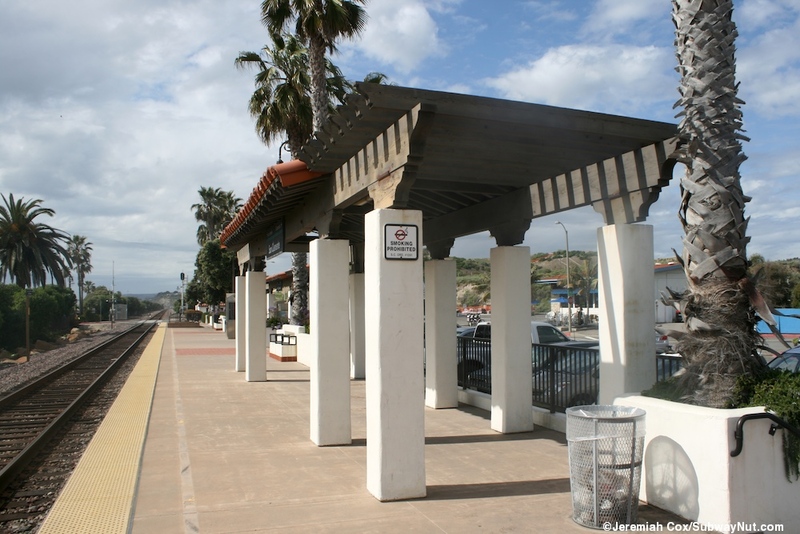 There are three sets of wooden canopies with tiled roofs, one primarily covers the station's TVMs. 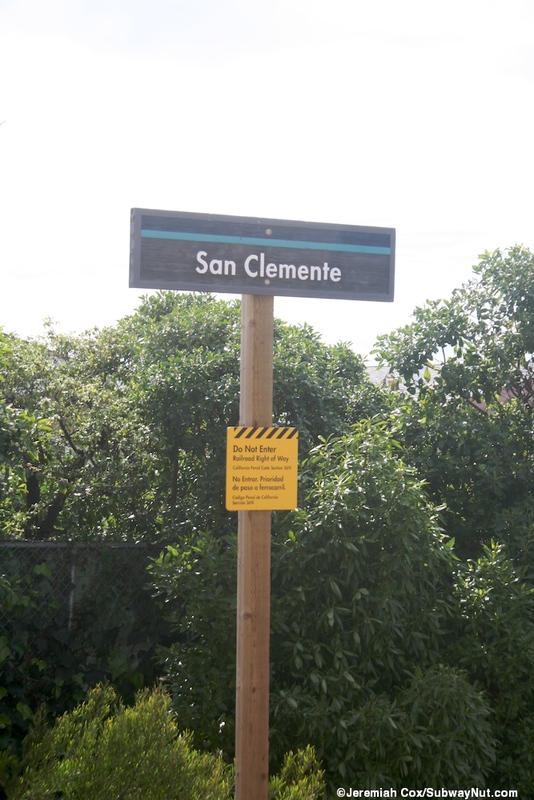 All of the platform signs are wooden but in the standard Metrolink complete format with the destinations and direction of travel information above the station name.